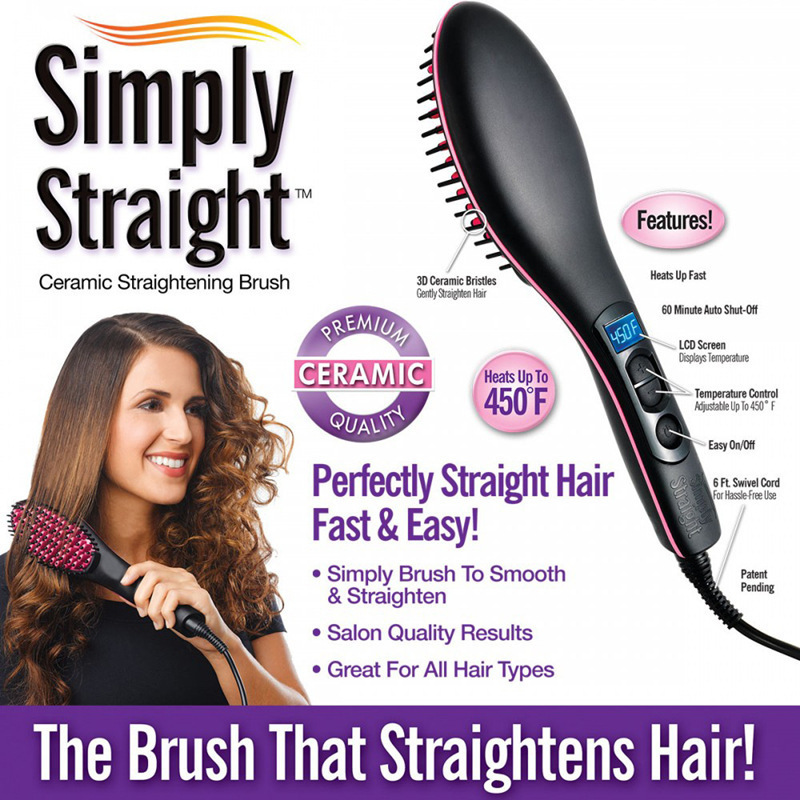 Unlike most heated straightening brushes, STRAIGHT UP’s powerful 65 ceramic heated plates deliver instant, even temperature across the entire surface. As you brush through section after section of hair, STRAIGHT UP always maintains a consistent level of heat to provide maximum straightening power with every pass. The 65 powerful ceramic plates provide instant, even heat and heat recovery to straighten and smooth 16 sections of hair with one pass. 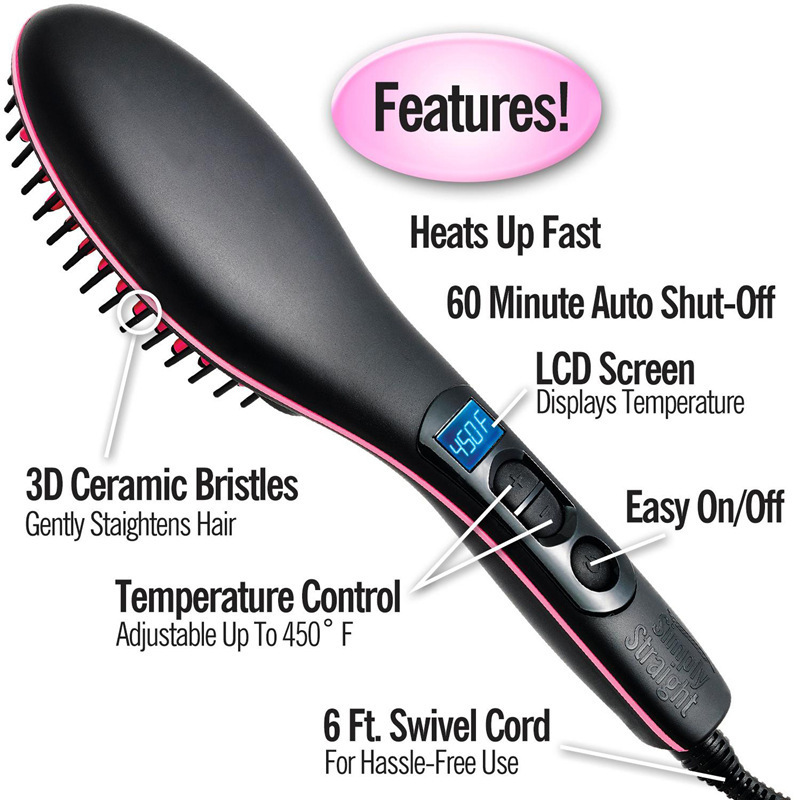 The STRAIGHT UP heats up in 30 seconds and maintains a consistent, even temperature across the entire brush surface. Choose from 7 heat settings ranging from a minimum of 330°F up to a maximum of 450°F. 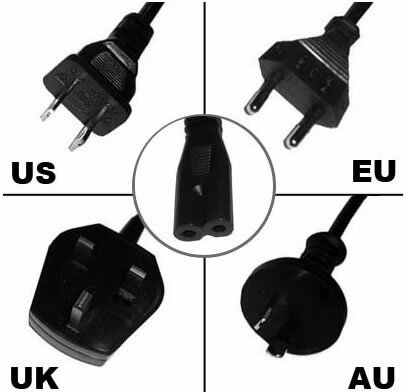 Digital LED clearly displays selected temperature. 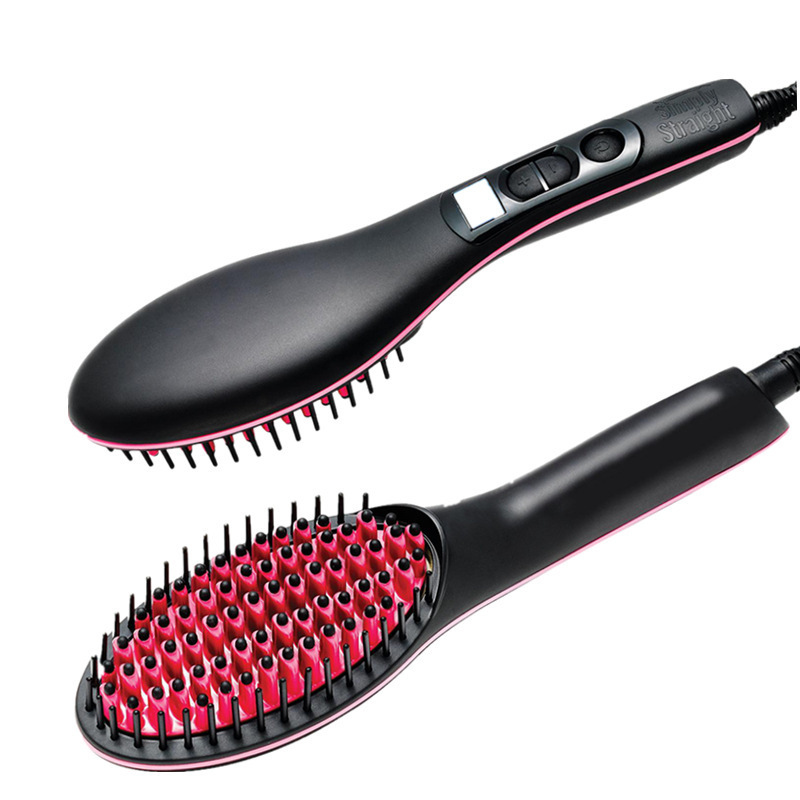 The cool tip ionic bristles reduce frizz and style hair close to roots without burning, while their smooth non-grip surface glides easily through the hair. Straight my hair.. Loved everything about it.. I am currently using this product on weave and it straightens my curly hair in half the time it would take if I'd used a regular flat iron. It saves me so much time in the mornings. I'm so happy about this product. 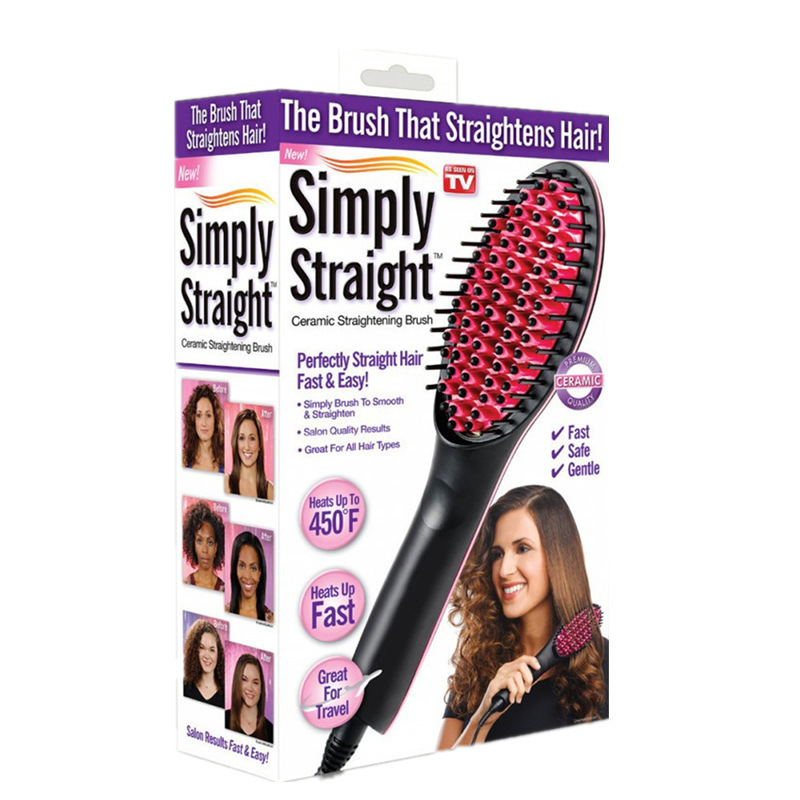 I have naturally straight hair but using this brush leaves my hair so sleek and shiny. My daughter used this brush on her curly hair and it straightened her as if she had used a flat iron, we both love this brush on our very different hair types. I have used this product several times on my daughters natural texture hair and my Brazilian hair extensions. I would say the product is just okay. I didn't not like the way it straightened my daughters natural hair it did not give me the desired look and feel I was looking for. However it did straighten my Brazilian hair extensions well. I don't think this product is good for all hair types, if u have course natural Hair I do not recommend this product. Product works well with straight hair. 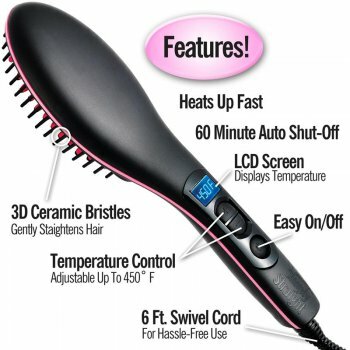 Product does get hot as advertised and you are able to put the brush close to your scalp without being burned. I love the style of it. It made straightening my hair feel much more natural. I use it everyday it's 1000x better than any regular hair straightener. Id recommend it to absolutely anybody. I am currently using this product on weave and it straighten ..